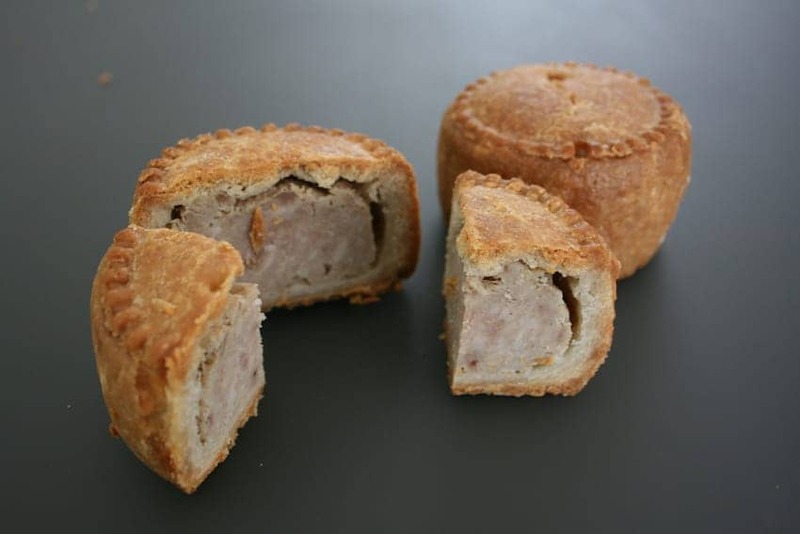 Referred to as the gold standard of pork pies, the Melton Mowbray pork pie is named after the town of Melton Mowbray, in Leicestershire where the pies became popular among fox hunters in the late eighteenth century. The Melton Mowbray Pork Pie is a distinct product that is recognisably different from other pork pies, both in physical characteristics and in reputation. The sides are bow-shaped as they are baked free standing, rather than baked in hoops. The meat used is fresh chopped pork which is naturally grey when cooked and the pie is well jellied and seasoned.